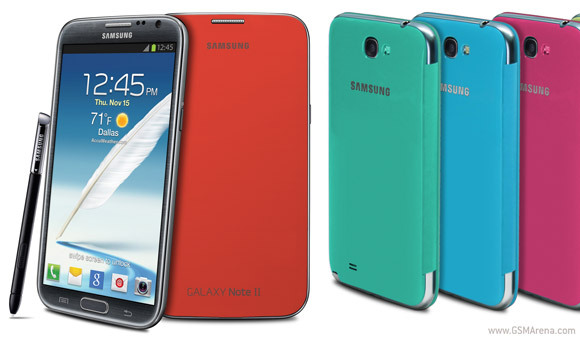 Samsung has just announced its Galaxy Note II phablet in the United States. Unsurprisingly, Sammy is teaming up with all major US carriers including Verizon, AT&T, Sprint, T-Mobile and US Cellular to reach as many users as possible. Samsung is saying that all of the carriers will have individual announcements for the device, but it should be available by mid-November. The US version of the Galaxy Note II will be packing either HSPA+ 42 or LTE radios, depending on the carrier. Other than that, the US Galaxy Note II remains unchanged. It'll rock a 5.5-inch, 1280x720 pixel HD Super AMOLED display and is powered by a 1.6GHz quad-core Exynos chip with 2GB of RAM. Naturally, it's shipping with TouchWiz flavored Android 4.1 Jelly Bean, which will make heavy use of the S-Pen. Of course, you are more than welcome to check out our extensive Galaxy Note II preview to find out more.